If you are the type who thinks a small, fast, and flingable car is a good thing, and you like what you read here, then we’re very sorry. It’s probably too late to act upon that impulse. The Subaru WRX STI Type RA is a limited-edition, slightly higher-performance version of its already-high-performance compact sedan. Production is capped at 500 cars (a number plate in each one counts them off) for 2018, and there’s no continuation in the mix for the ’19 WRX lineup. If your closest Subaru dealer ever had one in stock, chances are it’s gone by now—unless the $49,855 sticker price has been a little hard for customers to swallow. The limited-edition Type RA is almost $13,000 more expensive than a base-model WRX STI, but it offers a number of exclusive features inside and out–not the least of which is a handsome set of 19-inch BBS forged-aluminum wheels. RA stands for “Record Attempt” and has been used before on various Subaru performance models. 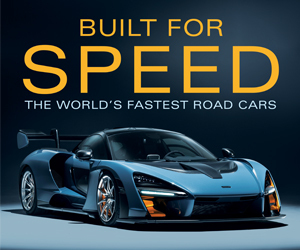 The latest application commemorates a 2017 run for the fastest lap ever by a four-door sedan on Germany’s Nürburgring. STI engineers put this WRX variant together with less weight, more horsepower, and revised transmission gearing and suspension tuning. In many respects the turbocharged 2.5-liter 4-cylinder “boxer” engine in the Type RA is like that used in the “regular” WRX STI. The RA powerplant picks up five horsepower, rising to an advertised 310, thanks to a new cold-air intake, high-flow exhaust, and other modifications. (Torque remains the same 290 lb-ft though.) The 6-speed transmission for the RA incorporates a revised third-gear ratio. The Type RA is incredibly eager from the jump, which makes launches a little tricky if you’re trying to slink through town without making a big show because the clutch is fairly heavy and takes some care to modulate. Three drive modes are available to govern throttle response, including racier Sport and Sport# settings that clearly do quicken the pace. An unmistakable—but not overpowering—exhaust note announces the car’s presence. The short-throw shifter enables quick and direct gear selections. The EPA projects the Type RA at 16 miles per gallon of premium fuel in the city, 22 mpg on the highway, and 18 combined. 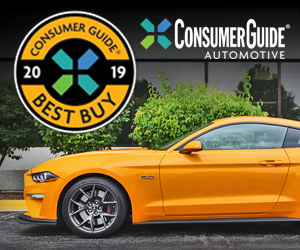 This reviewer got 19.9 mpg from Consumer Guide‘s test car with only 35 percent city-type driving in his 176-mile stint. 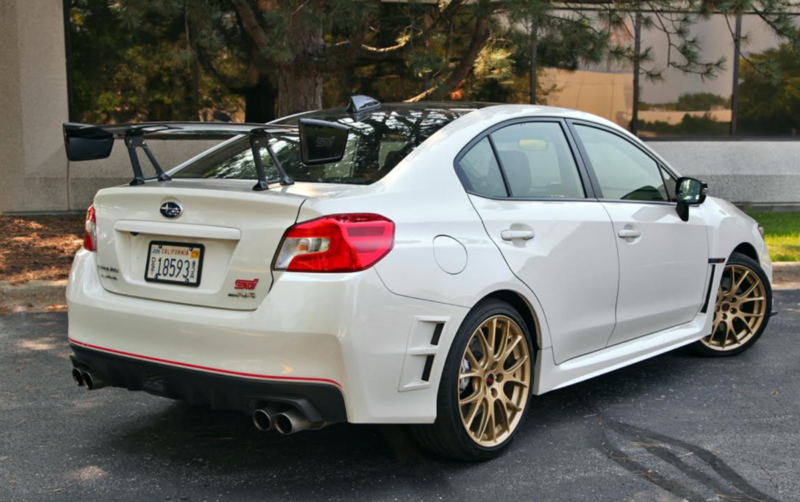 The Type RA replaces the regular WRX STI’s molded rear wing with a pedestal-mounted adjustable carbon-fiber rear wing. Standard all-wheel drive incorporates limited-slip front, rear, and center differentials. Handling has been addressed with inverted front struts, rear double-wishbone suspension, and Bilstein dampers all around. Body roll is tightly controlled during cornering, which is very precise. Steering is direct but can be a little heavy at times. As for ride quality, it is way stiff; on less-than-perfect pavement you’ll be bounced forcefully enough that it can be tough to make accurate contact with the touchscreen or climate controls. At least there’s a good sense of road feel—even if every joint and small crack registers with an audible thwack. Finally, the Type RA brakes with the big boys, thanks to its Brembo monoblock 6-piston front and dual-piston rear calipers, and heat-dissipating cross-drilled rotors. To offset what’s been added, the RA pares weight by pitching the spare tire, using a carbon-fiber roof panel and pedestal wing, and rolling on lightweight BBS 19-inch forged alloy wheels wrapped in 245/35R19 Yokohama Advan Sports tires. At a curb weight of 3395 pounds, the Type RA is just nine pounds heavier than a base WRX STI but 44 pounds lighter than an STI Limited. 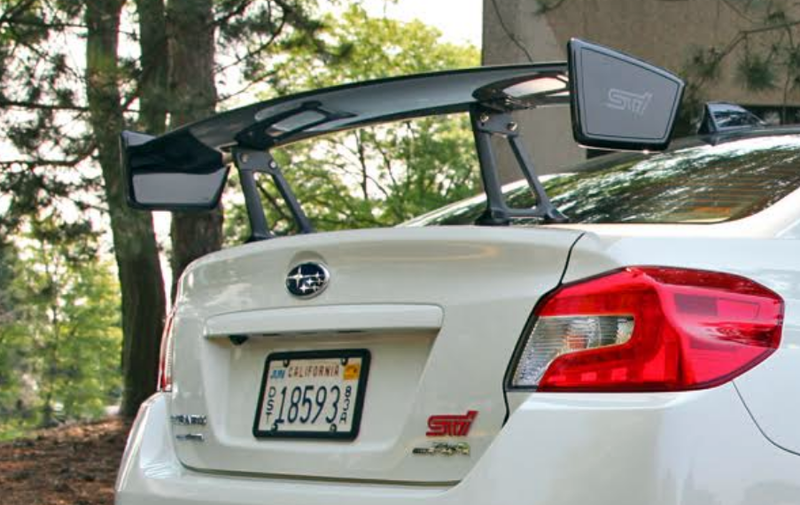 In addition to the adjustable rear wing, aerodynamics is also addressed up front with an STI underspoiler designed to improve stability at high speeds. 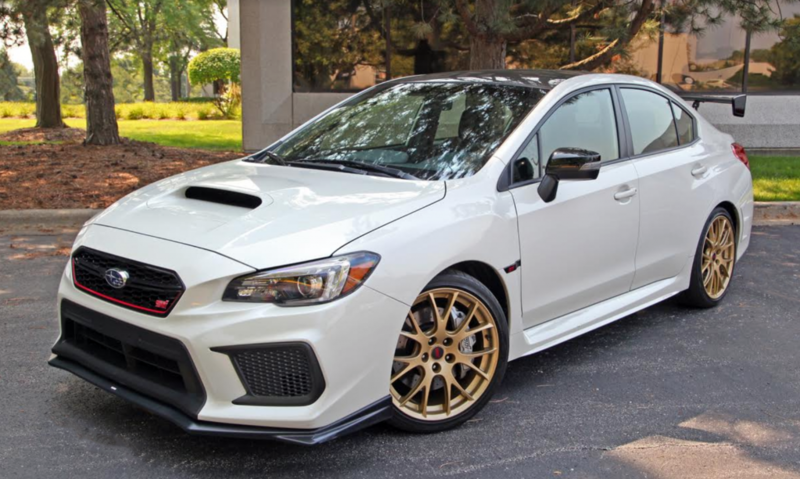 The Type RA is available in a choice of just three exterior colors—the Crystal White Pearl that was on CG’s test car, Crystal Black Silica, or WR Blue Pearl. 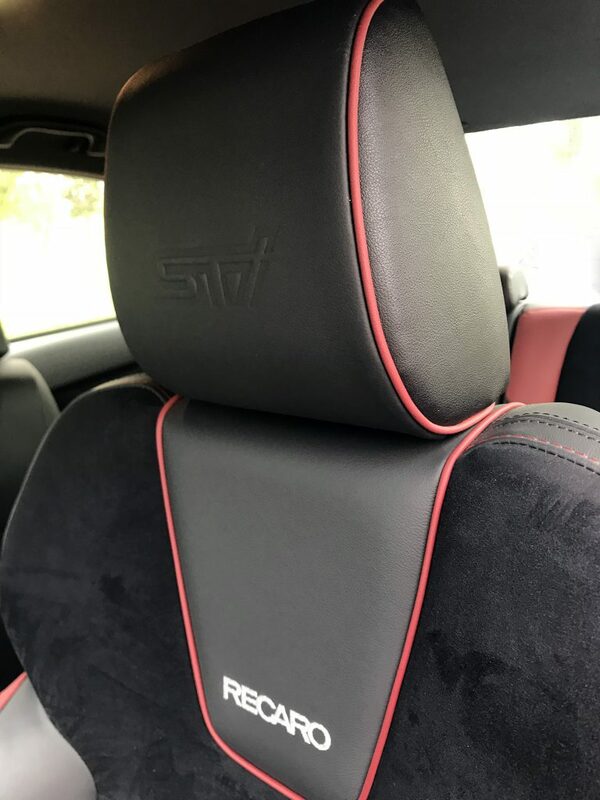 Inside, driver and front passenger are secured in grippy Recaro sport seats with red bolster accents and stitching, and an STI logo embossed on the head restraints. (The red stitching and accent trim appear throughout the cabin.) The steering wheel is wrapped in Ultrasuede synthetic suede. The material also covers the cushions and backs of the seats, the door centers, and the cover of the console-box lid. The test car’s interior was a little rattle-prone, with the noise seeming to come from the dash. Lightly padded material covers the top of the dash and the upper portion of every door, with additional soft covering on the armrests. Large speedometer and tachometer dials inform the driver. So does a 5.9-inch vehicle-information display atop the center of the dash, with digital displays that include a turbo boost gauge. The automatic climate-control system has three convenient rotating dials to select temperature and fan speed. Radio presets are easily input on the 7-inch central touchscreen, and audio can be operated via switches on the steering wheel. Push-button starting and keyless entry are standard equipment. Personal-item storage for front passengers starts with a wide glove box. The covered console box—which sits too far back to effectively serve as an armrest—is a smallish container with a USB port, auxiliary input, and power point within. There’s an open bin ahead of the shifter, two cup holders with a sliding cover in the console, and large door pockets with bottle holders. Rear occupants get a pouch affixed the back of each front seat, a pair of cup holders that pop out of back of the console, and bottle pockets in the doors. With a low-slung driving position there’s good room in front for people of most builds. Legroom for two adults in the rear seat will be decent—providing front occupants don’t need to track their seats all the way back. Driver vision is good to all directions due to thin roof pillars and ample glass area. A flat-floored trunk shows good space for a compact sedan, with a wide opening and low liftover. Some space for small objects exists under the trunk floor. Rear 60/40-split seats fold for more cargo capacity. They rest above the level of the load floor but the transition from the trunk is uninterrupted. For its racy demeanor, the WRX STI Type RA is tough to beat. For its rarity, it should be nigh on impossible to find. The time to nab one of the 500 examples of the 2018 Subaru WRX STI Type RA is probably already past, but most of this car’s attitude and performance capabilities can be had in a regular WRX STI model. Written by: The Daily Drive staff on September 25, 2018.on September 26, 2018.